Why Reverse With Lee - Lee’s mission is to bring you the most affordable choices available when it comes to thinking about a Reverse Mortgage in order to achieve financial freedom. Being a baby boomer himself, he can relate to the need to educate his clients with the different options available to them. 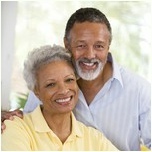 The right type of Reverse Mortgage can be an effective financial planning tool for retirement. Millions of homeowners have used it to stay in their home after retirement.